While living in Saudi Arabia, I have encountered a natural phenomenon several times which I never experienced before. People living in middle east are quite familiar with it. Yup, sand storms – which are quite common here and could be as frequent as once in a month. In fact most of the land in this region is comprised of deserts. So when strong winds blow, they pull up great clouds of dust with them engulfing a large area. The intensities of these sandstorms varies. Mostly, it remains hazy with dust in the stagnant air for one to two days causing breathing difficulties ,flights disturbances and other similar problems. But sometimes, sandstorms become so intense that one feels that he is watching a scene of The Mummy movie i.e. a cloud of sand, from earth to sky, rushing towards you. The good thing is that they last only for hours, not days. 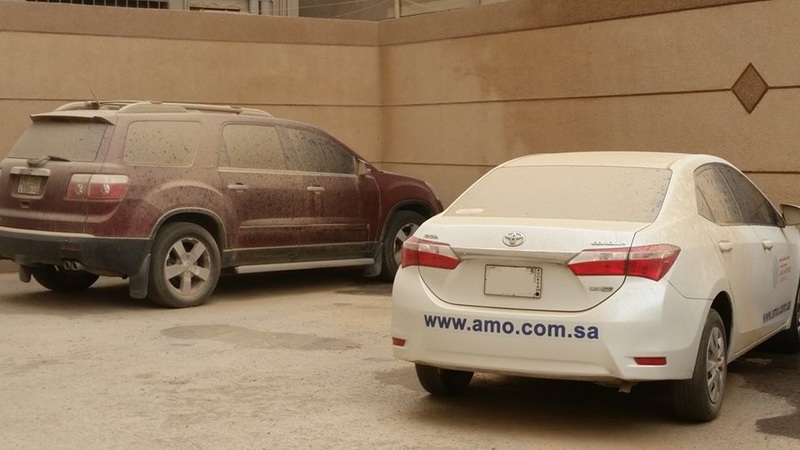 Most of such sandstorms come in Riyadh. My dust storm encounter in Makkah – Saudi Arabia. 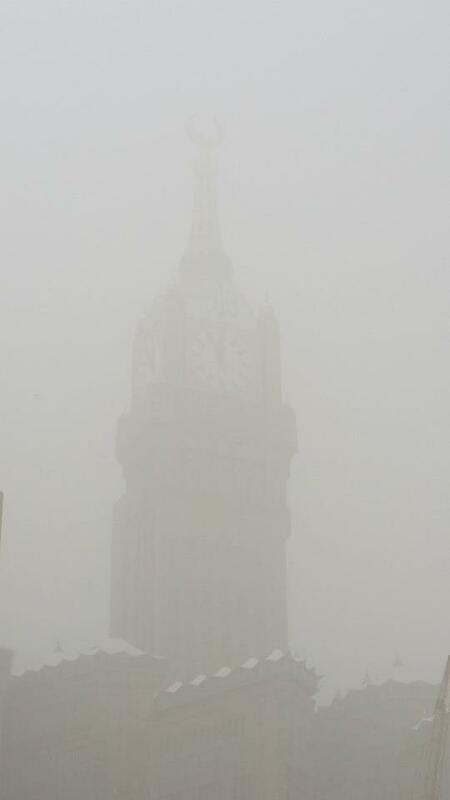 The famous Makkah clock tower is in the picture which can be hardly seen. 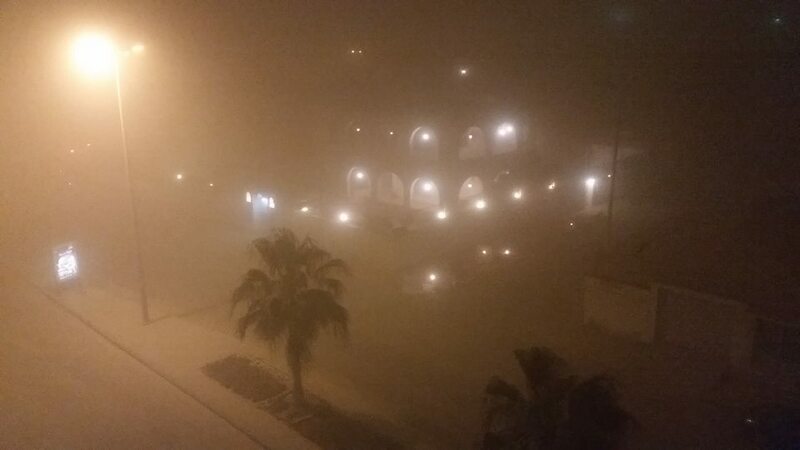 A photo of worst sand storm which I experienced in Khobar – Saudi Arabia. It continued for whole night. Visibility was greatly reduced. And next morning, everything was covered with dust. Anyways, I have become used to of it and it doesn’t bother me much now. But it could be problematic for new expats or visitors (specially pilgrims for hajj or umrah). Using a face mask is recommended in such conditions, specially at outdoors. For people living here it is advisable to permanently close all crevices in home walls, especially around ACs and windows, else everything at home would be covered with dust. A sprayable foam is available in market which expands and hardens in few minutes to fill the gaps. “You can hear the ocean if you put this to your ear.” She put the shjell to her ear and screamed.